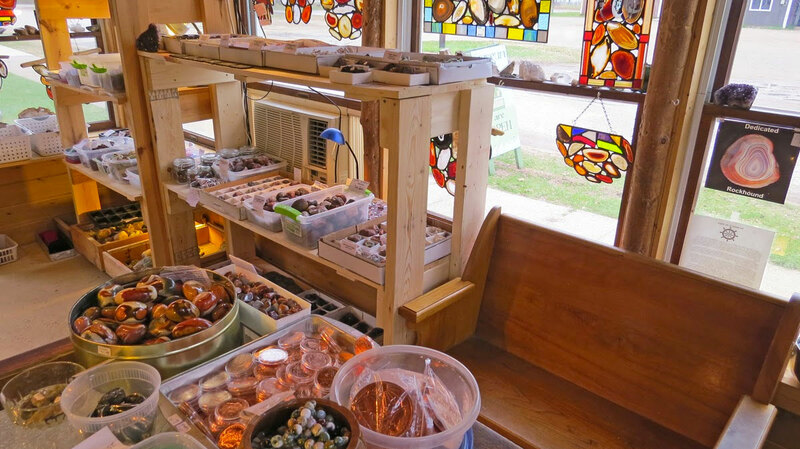 While attending the first annual agate festival held at Muskellunge State Park, I took an extra day to go agate hunting with my friend, Renee Beaver, at Vermillion Beach. I had never been to that beach before, which is located west of Whitefish Point. It is unusual and different from Grand Marais’ beaches in that the entire beach is covered in a cobblestone-like fashion with flat rocks. The type of rock is similar to that found in Grand Marais, but there are also a large number of golden-colored microcrystaline specimens — some of which that have water-level type banding.